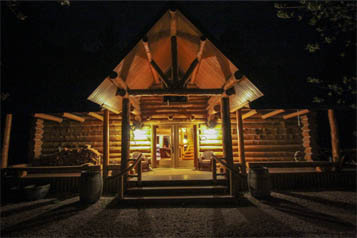 Madison Ranch is a newer log home on 12 acres one mile from the Madison River and 10 miles from the town of Ennis. It has four bedrooms, each with 2 twin beds, 3 bathrooms and 2 living areas. The dining area will easily seat 10 or more people. There are great views of the Madison Mountain Range and Gravelly Range foothills from the property. The house has a lovely large wrap around deck providing a spacious area for entertaining and kitchen and living room overflow. There is a large well manicured lawn, perfect for yard games and a fenced area for horses. Amenities: Full kitchen, washer/dryer, satellite TV, fireplace, gas grill, land line. Rates: $300/night (3 night minimum) or $1,800/week plus $300 cleaning fee and 7% lodging tax.